Dr. Mike graduated from the University of Colorado at Boulder with a Bachelor’s degree in Integrative Physiology. He then continued on to Palmer College of Chiropractic in Davenport, IA to receive his Doctor of Chiropractic degree. He has had the opportunity to work with several different chiropractors throughout his education and career. Since graduation, he has worked in Boise, Idaho and Albany, Oregon. His education, with the additional knowledge from these different experiences, has shown him the importance of SPECIFIC Chiropractic analysis and adjusting. Dr. Mike loves all the outdoor activities that Bellingham and the surrounding areas provide. He loves skiing Mt. 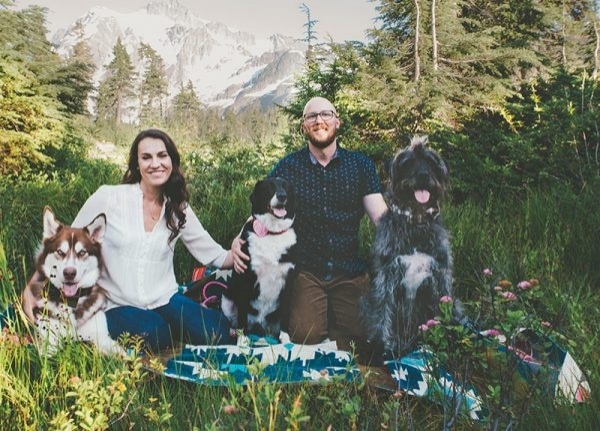 Baker, rock climbing Squamish, and hiking with his wife Alicia, and their 3 dogs Pancake, Link, and Benedict. You can find him working out at Vital Climbing Gym or Terrain Gym!